The team of Portuguese Leonardo Jardim missed a 0-2 lead and lost the option to play the final of the French League Cup. 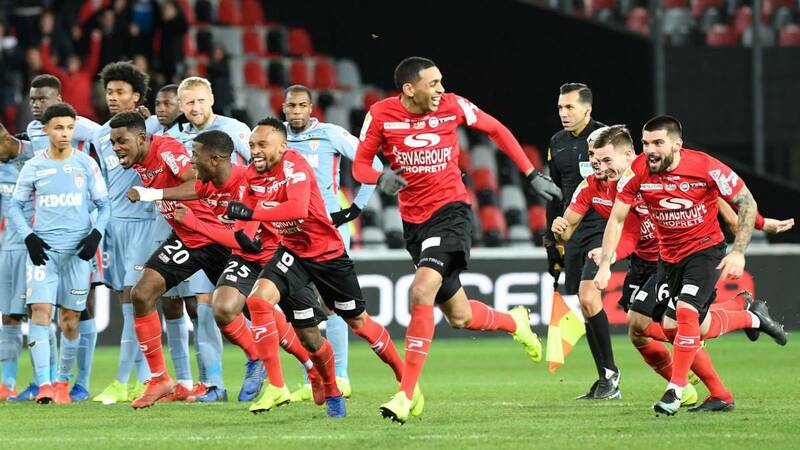 El Guingamp qualified for the French League Cup final on Tuesday after defeating Monaco in the first semifinal, resolved on penalties and after tracing the 2-0 with which the team of Portuguese Leonardo Jardim came forward despite play with one less from the minute 14. Jardim, who has just replaced the dismissed Thierry Henry, could not celebrate the classification of Monaco for the final in his first commitment. Pease to be outnumbered at 14 minutes by the expulsion of William Vainqueur for a dangerous entry on Marcus Thuram, son of ex-Frutist Lilian Thuram, Monaco went ahead 0-2 in the first half with goals from Rony Lopes (m.18) and Aleksandr Golovin (m.24) . But Guingamp, who was the executioner in the quarterfinals of Paris Saint-Germain, reacted at the Roudourou stadium in the second half. Alexandre Mendy, just beginning the second half, and Marcus Thuram himself, in 55, rebalanced the duel. El Guingamp, bottom of the Ligue-1, arrives for the first time to the final of the tournament after having been a semifinalist in 1996. In his track record there are two titles of champion of the Cup of France, in 2009 and 2014, and one of the Intertoto Cup in 1996. The Guingamp will face in the final, on March 30 at the Pierre-Mauroy stadium in Villeneuve-d'Ascq, against the winner of Wednesday's match between Strasbourg and the Girondins de Bordeaux ( 18.45). Monaco is still in free fall. It is penultimate in the league, just ahead of Guingamp, with 15 points in 22 games, in the Cup was eliminated in the sixteenth by the Metz and this Tuesday has been out of the League Cup.